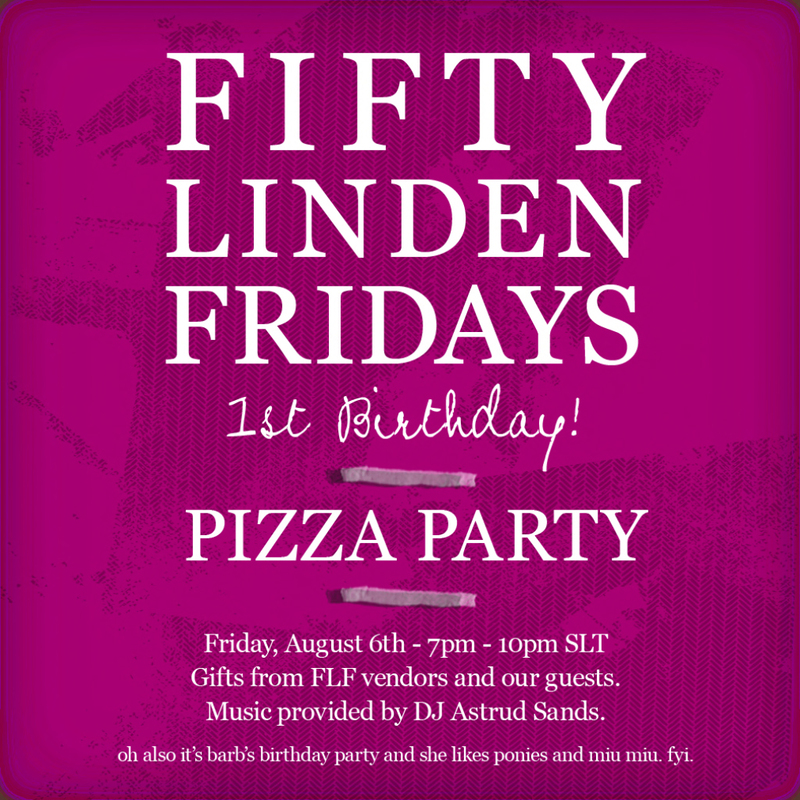 Come Celebrate Fifty Linden Friday 1 Year Anniversary!!! FLF has reached one year and what better way to celebrate is by having a Birthday Pizza Party!!! Gifts will be given from FLF vendors and our guests, music by DJ Astrud Sands, and lots of fun. Friday, 7pm SLT – 10pm SLT. LM to be sent to the FLF group just prior to the event.